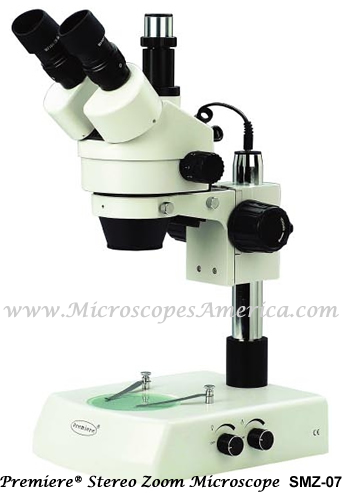 Microscopes America, Inc. Offers High Quality Trinocular Microscopes with Free Shipping! 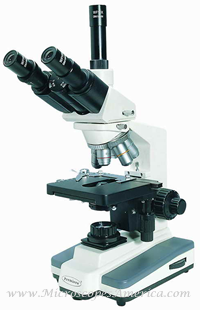 All specifications match the base binocular model (MRP-5000) except with third vertical eyetube suitable for camera attachment (sold separately). Third eyepiece not included. • Dimensions: 10" x 8" x 16 ½"
• Standard Model MRP-5000 (binocular head with 5 objectives including 60XR (N.A. 0.90). 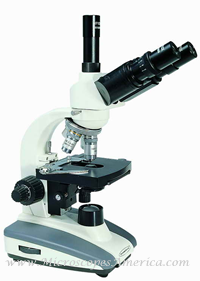 • Dual view Model MRP-5000D (binocular head replaced by adapter fitted to two binocular heads). 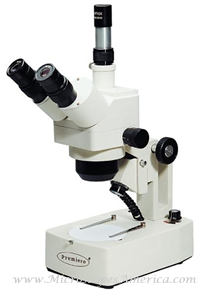 All specifications match the base binocular model (MRP-3000) except with third vertical eyetube suitable for camera attachment (sold separately). Third eyepiece not included. 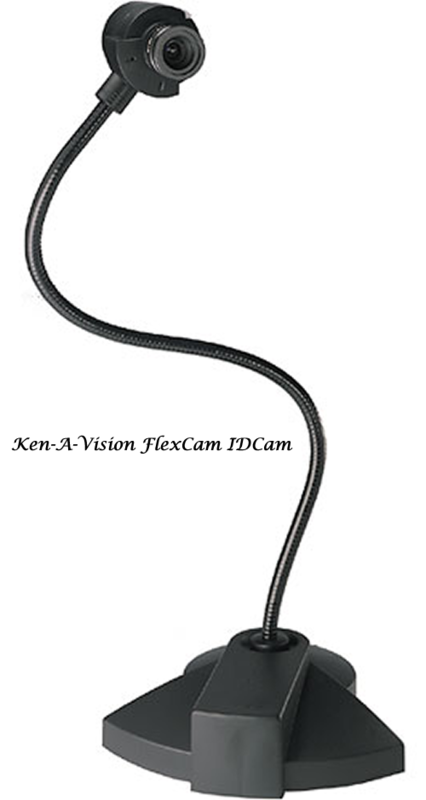 • Third vertical eyetube suitable for camera attachment (sold separately). Third eyepiece not included. 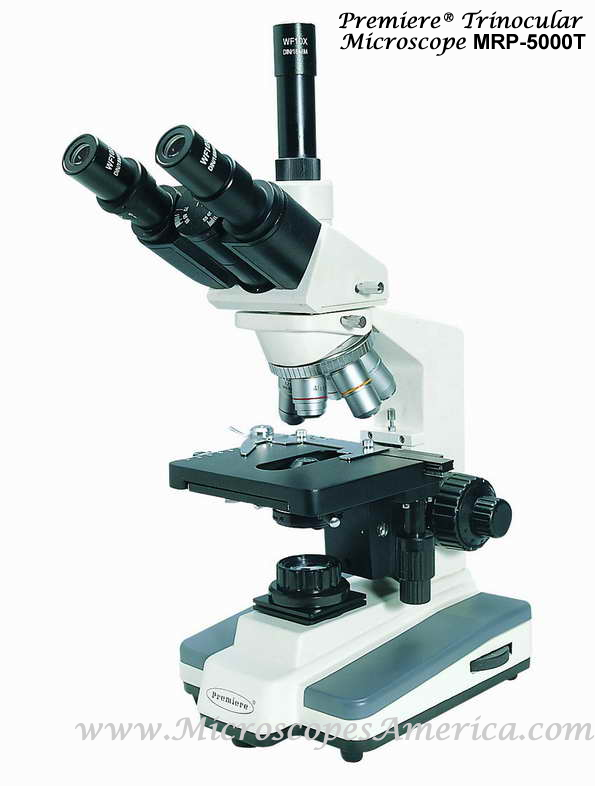 • Dimensions: 7" x 9" x 15"
• Dual view Model MRP-3000D (binocular head replaced by adapter fitted to two binocular heads). 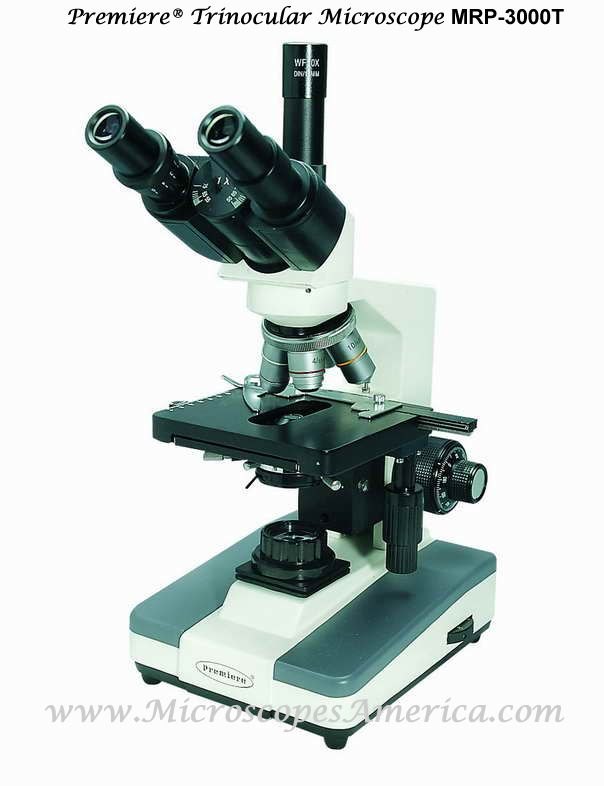 All specifications match the base binocular model (MRJ-03) except with third vertical eyetube suitable for camera attachment (sold separately). Third eyepiece not included. • Size: 6 1/2" x 8 1/4" x 15"
• Cordless LED Model MRJ-03L (Variable intensity 4.5V LED cool illumination system). 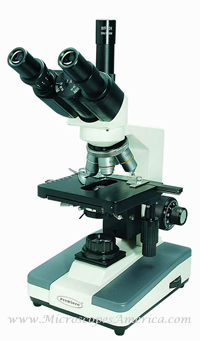 With Stereo Zoom Microscopes, once the specimen is brought into focus, you can change the magnification to suit your needs without refocusing. This new Zoom scope provides incredibly sharp, clear stereo images with a wider magnification range and larger stage platform. The trinocular version offers the third eyetube for camera attachments (sold separately). The SMZ is versatile enough for educational, industrial, or medical use in agriculture, geology, archeology or biology fields. 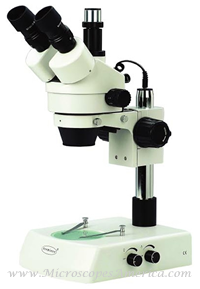 The SMZ-07 Stereo Zoom Trinocular Microscope is identical to the (SMZ-05) except with third vertical eyetube suitable for camera attachment (sold separately). Third eyepiece not included. 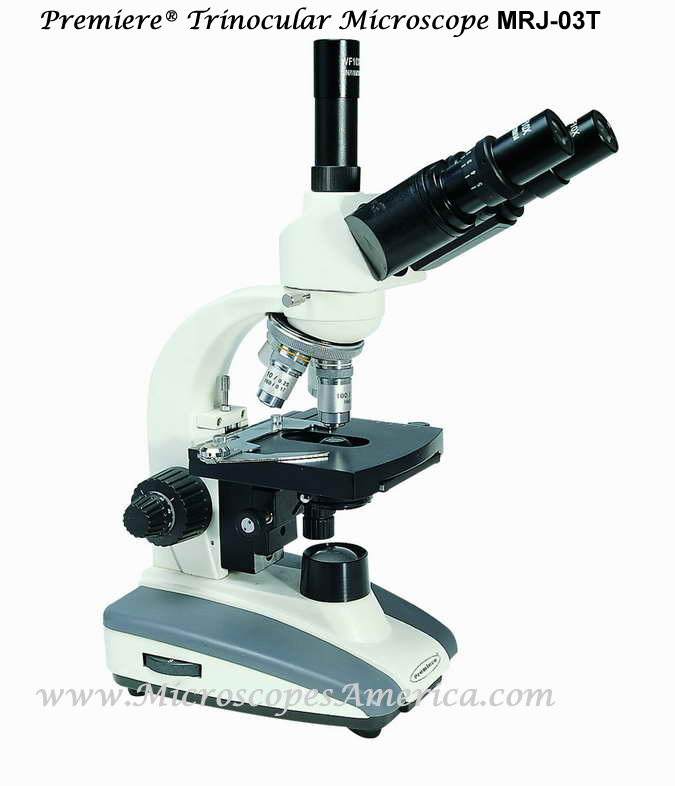 • Large working observation stage 8" x 9½"
• Dimensions: 9" x 11" x 20½"
The SMZ-07 Stereo Zoom Trinocular Microscope is identical to the (SMZ-02) except: Third vertical eyetube suitable for camera attachment (sold separately). Third eyepiece not included. • Dimensuins: 6 ¾" x 9 ½" x 18"